You would like to give your horse or dog a Natural diet? Not sure where to start? Let Belinda do all the hard work for you with out breaking the bank! Belinda can design a natural diet plan for your equine or canine that works with you and your budget. Simple natural diets – they way horses were designed to eat! No expensive processed feeds, raw diets for your dog. Smaller stools – that degrade – no more picking up poo! Belinda is a qualified animal nutritionist studying with HATO here in Australia. 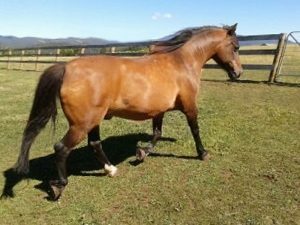 Pasture management also plays a part in your horses diet and Belinda has also studied and has her Pasture Management Certificate through the Natural Collage of Traditional Medicine. Belinda’s 34 year old pony on a natural diet.